From separating trash and recycling to using resealable containers instead of plastic and purchasing products made from recycled materials, these are some of the simplest ways to help the environment. But what about other ways to help the environment and practice sustainability that could be more impactful at your business? Your HVAC system and lighting may not be up-to-date and appliances could be using more energy than they need to be, which could run up your utility bill. 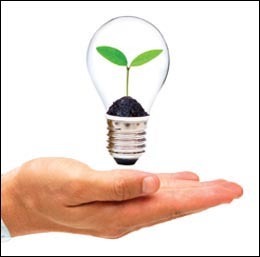 Making these kinds of changes is easier than you think, with various programs offering eco-friendly initiatives that not just help the environment, but end up saving your company money. One of those programs is called Direct Install, which is run by the New Jersey Office of Clean Energy and serves many areas in South Jersey, including Burlington, Camden and Gloucester counties. This program makes it easy and affordable for businesses to upgrade to high-efficiency equipment, such as replacing outdated lighting with high-efficiency lighting and upgrading HVAC systems. Participating contractors, such as Hutchinson, replace the equipment and the business’s share is approximately 30 percent—the program pays the remaining 70 percent. Over 1,000 businesses have used this program, including Flying Fish Brewery, South Jersey Federal Credit Union, Kingsway Learning Center, Kennedy Hospital, Danzeisen & Quigley, YMCA of Burlington and Camden Counties and Food Bank of South Jersey. “People initially say this is too good to be true,” says Ed Hutchinson, owner of Hutchinson, an HVAC service company in Cherry Hill. Even though many businesses have taken part, he says every business should take advantage of the program to receive the multiple benefits. “Most people are busy running their businesses, which is totally understandable,” he says. “Most don’t go to their utility bill for savings, but this program is simple and makes it easy to save money and energy. The real benefit is that it’s turnkey—we do all the work for you. The positive cash flow, renewed optimism in the economy and fewer skeptics are the main reasons why Powell Energy & Solar is installing more solar panels year after year on businesses and residential homes. “When businesses put a solar system on their roof, it’s actually cash positive from the first day. … The investment is coming back to them and it’s going to be cash positive, but that depends on if they are going to be there for at least five or six years,” owner Don Powell says. “Previously in our business climate, people weren’t that optimistic. I think the optimism has returned and people think their future is brighter and [are] willing to make a long-term investment. Government officials are doing their part to significantly advance New Jersey’s clean energy economy by recently passing bills that will stabilize and expand the state’s renewable market and help extend the cost-savings benefit of solar to businesses, communities and families. The legislation will stabilize the solar market through 2021 and expand the benefits of clean energy to more residents. Sustainable Jersey, a nonprofit that provides tools and training to communities as they practice sustainability programs, is working with many businesses and municipalities in South Jersey that lack the resources when it comes to sustainability and offer a Green Business Recognition Program to businesses to help them implement sustainable practices. 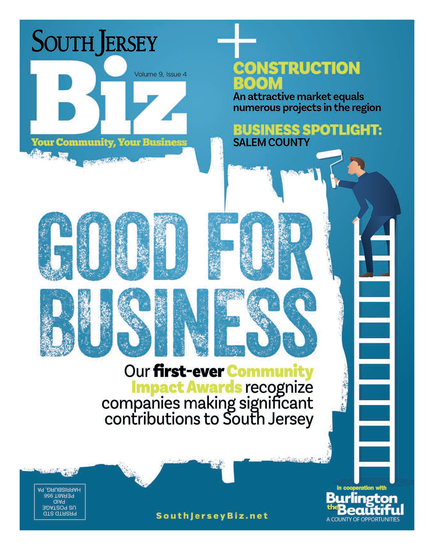 “Our goal is to help municipalities that have a lot of authority and a lot of issues on land use, energy and local economic development,” Randall Solomon, executive director of Sustainable Jersey says. “Municipalities are powerful but didn’t have a lot of capacity to install practices or find out what the right thing is to do. And Hutchinson says it’s important to learn ways to be sustainable not just for us, but for future generations. “We have an obligation to our kids and kids to come to make sure we continue sustainability,” he says.